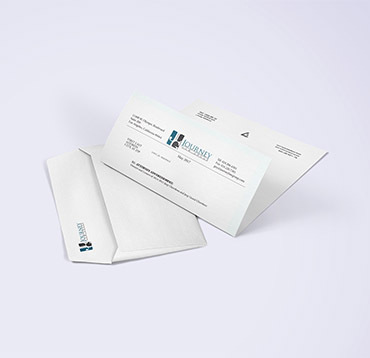 Personalizing your mailing materials can only help your business - if your branding is consistent, people will recognize your mail and might set it apart from the other plain white envelopes with black text that carry bills, or junk mail that gets thrown out. 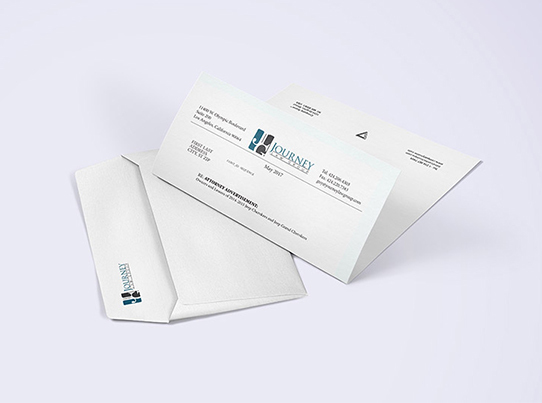 With custom printing services, we can brand your envelopes to give your recipient a taste of what they are opening, complete with your logo, contact info, and any other graphics or messaging you’d want on your envelopes. Let’s face it - you only have a few seconds to reel in your mail recipient… just a moment to either capture their attention to get them to open your envelope, or have them throw it away. Give them something to look at! The more unique your mail looks from the rest of the pile, the more likely you are to have someone open it. 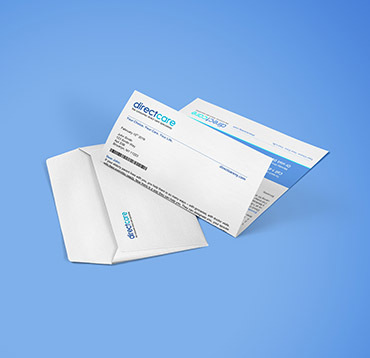 Envelopes are meant to be sent. 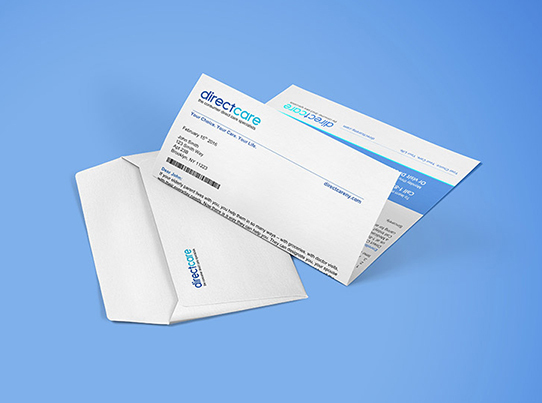 With our direct mail printing services, we can print AND mail your envelopes once the materials going inside them are gathered.